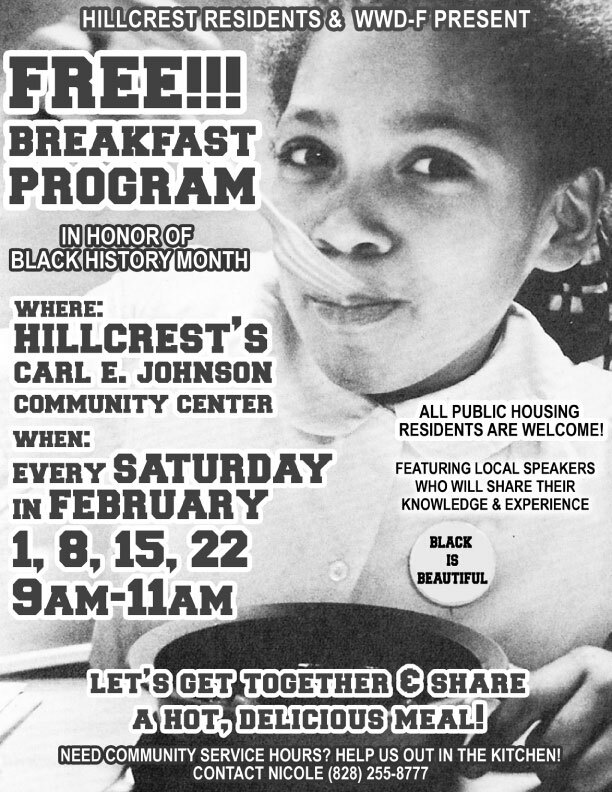 A Free Breakfast will take place every Saturday in February at Hillcrest’s Carl E. Johnson Community Center from 9 am until 11 am. This program is in celebration of Black History month and honors the original Free Breakfast Program that was begun by the Black Panthers during the height of the Civil Rights era. They offered a free hot meal to the children of their communities in the morning, preparing them for the day nutritionally, and empowering their minds and spirits through education while they ate. The community leaders educated the children about their true rights and history, and taught them how to stand up for what they believed in, and for fair and equal treatment. At one point the head of the FBI at the time, J. Edgar Hoover, declared that the Free Breakfast Program was the single largest threat to national security. It’s a wonderful series, last year we fed over 500 people. We expect similar numbers this year. You can make a donation to this program at wwd-f.org. If you’d like to volunteer, call 828-255-8777 or email nicole@wwd-f.org.